Passed last month, the provincial law requires people to show their face when giving or receiving services in places such as libraries, university classrooms, daycares and buses. Quebec's face-covering law is exposing divisions among federal Liberals, with staunch defenders of the Canadian Charter of Rights and Freedoms on one side and a large number of Quebec MPs who fear becoming political casualties of the contentious debate on the other. Several Liberal MPs are calling on the government to stay out of the coming court challenge to the law, including some of the most vocal opponents of Bill 62 in caucus. The Trudeau government has responded with a carefully calibrated response: stating that women have the right to dress as they want, while refusing to be drawn into an open confrontation with the provincial government. The Liberal government's decision to stay on the sidelines has created anger among opponents of the legislation who feel it is a full-on assault of Charter rights targeted at Muslim women. Passed last month, the provincial law requires people to show their face when giving or receiving services in places such as libraries, university classrooms, daycares and buses. Federal officials said the government has yet to decide whether it will participate in the coming court challenge, which was launched this week by the National Council of Canadian Muslims and Canadian Civil Liberties Association. If Ottawa participates in the judicial showdown, federal lawyers will have to publicly state their views on the Charter issues raised by the law, which could contribute to its defeat. Liberal Party officials said that Quebec MPs and ministers have been urging their colleagues from other parts of the country to cool their rhetoric on the issue in recent weeks. "The Quebec caucus was very clear … in telling our colleagues, our ministers, that this is a file that belongs to the Quebec government," said Liberal MP Rémi Massé, who is the chair of the party's Quebec caucus. "This is [the Quebec government's] responsibility and we are giving them the necessary leeway to do what they feel they have to do. With the court challenges that are starting, it's up to them to react accordingly." Liberal MP Alexandra Mendès has been one of the most vocal critics of the law, but she said Ottawa should continue to stay out of the matter at least until it reaches the Supreme Court of Canada. "I think right now, the government should just let it play out in Quebec and see how the courts in Quebec look at this," said Ms. Mendès, who represents a riding on Montreal's south shore. "The fact that I have a very strong opinion doesn't mean that the government should necessarily intervene right away." Another opponent of Bill 62, Liberal MP Raj Grewal, said the law goes against his vision of the country, but added the government needs to respect "the National Assembly's ability to pass their own laws." "I'm fundamentally happy that it is going to be challenged because in my humble opinion, it goes against everything that Canada stands for," said Mr. Grewal, the MP for Brampton East. Liberal MP Nicola Di Iorio, a lawyer who represents a Montreal riding, said Ottawa cannot take the lead when it comes time to challenging the constitutionality of provincial laws. "The federal government's role is not to act as law enforcement for the legislatures," he said. "There are organized groups that are sufficiently resourced to be able to raise these issues, and the federal government should not be at the forefront of such a topic." While the law has exposed political fault lines across the country, it has garnered support in all regions of Canada. According to a Nanos survey conducted for The Globe and Mail, 63 per cent of Canadians support or somewhat support Bill 62. Pollster Nik Nanos said the results show how "this is a no-win situation" for the Liberals. "The message to the government is that this is a political minefield," he said. To this point, Prime Minister Justin Trudeau has walked a fine line on the law, always stopping short of vowing to fight it in court. "As I've said several times, I don't think a government should be telling a woman what to wear or not wear," he has said. "We are looking very carefully at what tools we have and what steps we have to make sure we make this situation better for everyone." Liberal MPs from Quebec said they don't want the debate to turn into a federal-provincial battle, or a symbol of Ottawa's interference in Quebec's affairs. One of the worst scenarios would be for Quebec to use the notwithstanding clause to keep the law on the books even if it is defeated in court, a Liberal MP from Quebec said. 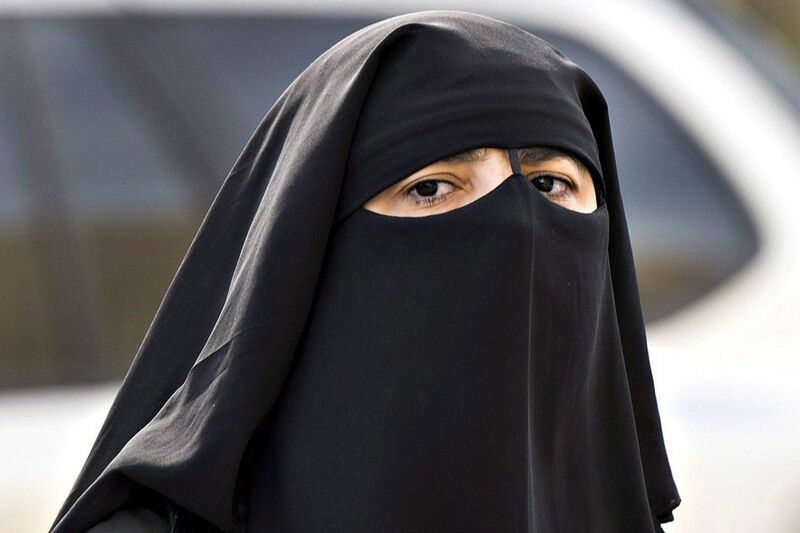 The groups who filed a court challenge in Quebec Superior Court on Tuesday said the law is unconstitutional and discriminates against Muslim women. "I live in fear," co-plaintiff Warda Naili said at a news conference in Montreal. "I don't know what will happen when I go out. I don't know how people will react because of this law."